It can often be good for you, both physically and psychologically, to keep doing everyday activities, even if they are challenging. However, if some tasks are just too hard, it's OK to ask for help, or even find ways to get rid of them altogether. You might like to install handrails or other equipment around your house to make it easier to move around and do things. You can find out more about equipment and equipment suppliers in the section on Disability aids. You might also consider moving to a smaller house, or one that is easier to manage. Enable New Zealand has advice about how to design a home so it will suit you throughout your life. You might also find the following practical tips helpful in making household tasks easier. Make sure your mattress is firm and supportive to make it easier to move in bed. If your bed is soft, insert a board between the mattress and base. Raise the bed up on blocks if it is too low. 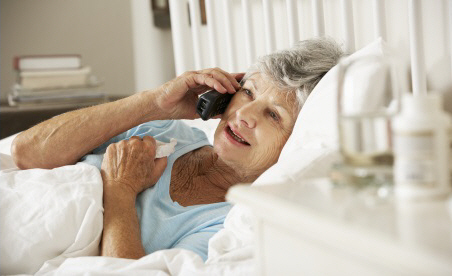 Have a lamp and phone beside the bed, so you don't have to walk to other rooms to get the phone. Organise cupboards and drawers so you can reach them from the side of the bed. Use a duvet rather than blankets, it makes it easier to make the bed. Cook large quantities of food at once and freeze individual portions. Prepare part of the meal ahead of time. Sit on a stool to prepare food, cook and wash dishes. Use a trolley or walker to carry items around the kitchen. Let your dishes air dry so you don't have to dry them. Buy ready-peeled and cut or frozen veges and preprepared meals and soups. Try some of the ideas in Quick, easy meals. There are many gadgets to help people with pain or reduced strength and mobility with kitchen tasks. These include electric can openers, grip enhancers for taps, jars and utensils. You can find a list of suppliers on the Age Concern website. Do small loads of washing. Put the washing basket on a chair at the washing line so you don't have to bend down. Use a clothes horse or airer instead of a washing line. Sit down to fold and iron clothes. Choose easy-care clothing that doesn't need handwashing or ironing. Ask for help with folding large items such as sheets. Use micro-fibre towels, as they dry easily and are light. Raise your garden beds, or create gardens in pots to make gardening easier. Spread chores out over the week, doing a little every day. Use long-handled dusters and cleaning attachments. 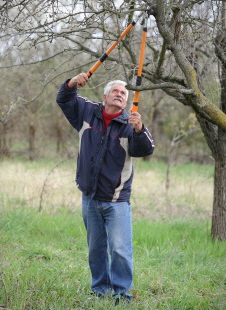 Use a long-handled reacher to pick things up off the floor (find suppliers on Age Concern's website). Also see the tips on Conserving energy. Plan ahead and prepare a shopping list. Shop online for food and other items. Use a supermarket's internet shopping and delivery service. Ask for help with reaching for high and low items and carrying heavy items. Do small shops often, rather than doing all your shopping at once. Ask the checkout operator to disperse the weight evenly when packing your bags. Sit at the bench when you're sorting groceries at home.